Applications to the highly successful IIBA UK Peer Mentoring scheme are now closed. We expect to run another one later this year. The benefits of career mentoring in the workplace are proven for both mentor and mentee. IIBA UK’s professionally created, structured mentoring programme supports you in developing both yourself and your career. This 6-month programme will run from January to June 2019 and will be delivered by a professional team including Liz Calder (IIBA UK Communities Director), Bindu Channaveerappa (IIBA UK Communities Director), Janice McNamara (professional mentor & coach), and Karl Shepherd (IIBA UK Professional Development Director). Support sessions to discuss how things are going with other mentors and our professional coach and mentor. The chance to learn through discussion and sharing. The opportunity to enhance leadership skills. Support sessions to discuss how things are going with other mentees and our professional coach and mentor. Professional development and help with problem-solving. What have previous attendees said? All support and training meetings are held online. Participants arrange their own mentor/ mentee meetings at a mutually convenient time. All costs are covered in the joining fee listed above. Please remember to register on the events as invitations will go out to scheme members once final payments are made. 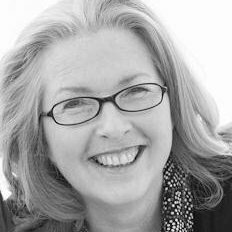 Liz is a Director of IIBA UK and has been actively supporting the UK communities and events since she joined the board in November 2017. 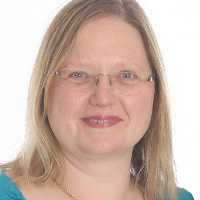 Liz runs a Business Analysis Consultancy, Blue Raccoon Limited and works with large and small companies, primarily in the Life Sciences and Digital arenas. She has first-hand experience of the IIBA UK Mentoring Scheme having participated as a mentor in 2016 and is currently a mentor on the government's Business Analyst apprentice scheme. Liz is a Doctor of Materials Science. 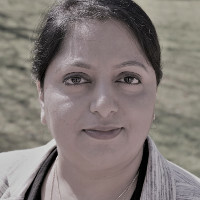 Bindu is a Director for IIBA UK and has been supporting the BA communities both in the UK and International. Working as a Business Analysis consultant, mentor, and contributing to creating BA courses and exams with IIBA international, Bindu is enthusiastic to bring innovation to her BA activities and shares her learnings through her speaking engagements, articles and blogs. Bindu has been on the mentoring programme as a mentor since its inception and keen about learning and sharing knowledge and is passionate about creating a collaborative environment for BAs to share and learn from the community. Karl is a global Business Analyst Lead for Shell Downstream Business Portfolio IT and has over 20 years BA experience. He is responsible for delivering IT for M&A deals globally for Shell across several class of business. He is a founding member of the Shell Global BA Excellence Team. Karl firmly believes that BA's can improve their own professional development leading to better performance and greater opportunities, and mentoring is an excellent platform to do that. Karl joined IIBA UK as co-founder of the IIBA UK North branch in 2009 and took the role of Chairman on for two years before taking on Communities Director role for North, Scotland and Midlands. Karl then focussed his efforts towards professional development and has been the IIBA UK Professional Development Director since 2012. In the last five years Karl has led the development of a BA mentoring scheme and subsequent successful delivery at national and global level.